During his official visit to Israel, Ukraine’s Minister of Foreign Affairs Pavlo Klimkin had meetings on 26 and 27 November with the top leaders of the State of Israel, including: President Reuven Rivlin, Prime Minister Benjamin Netanyahu, Speaker of the Knesset Yuli-Yoel Edelstein, as well as Minister of Defense Avigdor Lieberman, Minister of Environmental Protection Ze’ev Elkin, Minister of Education Naftali Bennett, and Deputy Minister of Foreign Affairs Tzipi Hotovely. The head of Ukraine’s foreign ministry summed up his visit in an interview with the Canadian philanthropic organization Ukrainian Jewish Encounter. Shimon Briman: The negotiations on the “Free Trade Zone” between our countries have been underway for many years. When will this agreement be signed? 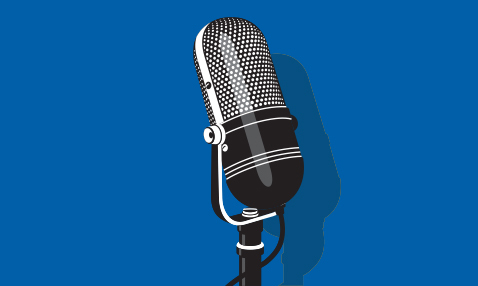 Pavlo Klimkin: These kinds of negotiations tend to proceed slowly. Our talks with the European Union lasted seven years. The agreement with Israel is practically ready. I hope that by early 2018 all the juridical aspects will be ready, and we will gather for a bilateral meeting in March or April in order to complete the agreement. But we have to work on developing bilateral trade and enlisting Israeli investments. Shimon Briman: Israeli business is interested in Ukraine, but at the same time big business sees a bad signal in how Kyiv is dealing with Elbit, the largest private military company in Israel. What is your assessment of this situation? 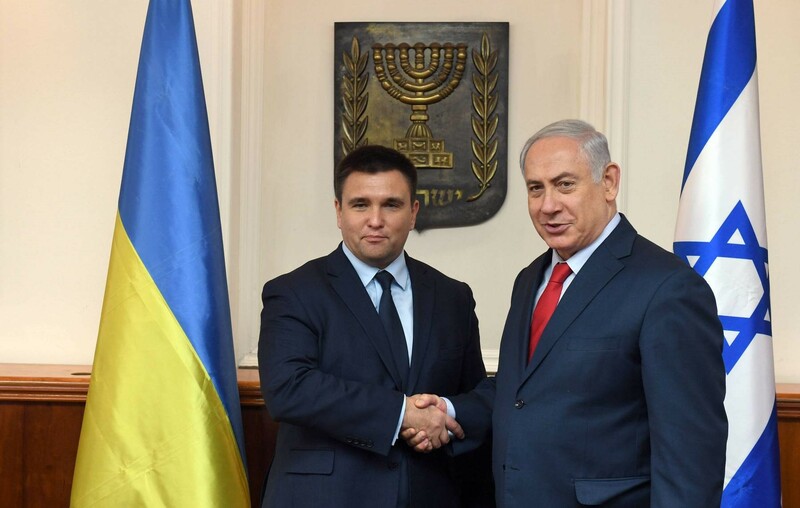 Pavlo Klimkin: Ukraine wants to work with Israeli business, and it is working. I don’t like discussing questions pertaining to military-technical cooperation, but we are working with Elbit and hoping to expand this cooperation. 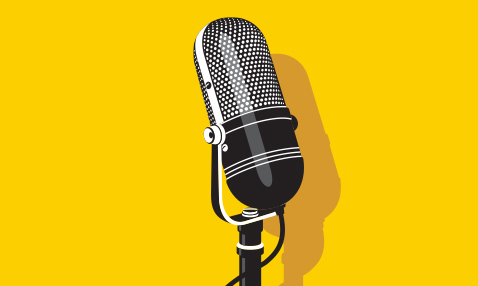 But on which topics—that’s a question for specialists. I think that we have great prospects here, and not just here. Shimon Briman: How will the problem of the ten to fifteen thousand Ukrainian illegals in Israel who are violating the visa-free regime between our countries be resolved? Pavlo Klimkin: The visa-free regime is wonderful. On both sides we have three hundred thousand tourists, and sixty flights a week. That’s why we are working on the Open Skies system with Israel. But it’s necessary to understand how to reduce the number of illegals. After recent decisions by the Israeli side, there will be far fewer attempts to remain illegally in your country. And I hope that the non-admittance of Ukrainian citizens to Israel will lessen significantly. I discussed this question, which is very important for me, with Benjamin Netanyahu and my counterparts in the Israeli foreign ministry. Shimon Briman: Two years ago, in December 2015, you and I walked through the Yad Vashem memorial complex during President Petro Poroshenko’s visit. 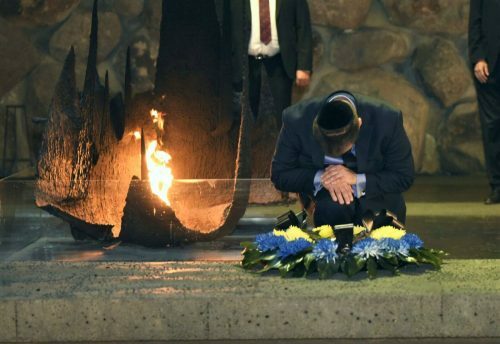 However, your department is continuing the policies of Ukraine’s foreign ministry under Yanukovych, and is refusing to join the International Alliance for Holocaust Remembrance, to which all European countries belong, except Ukraine and Russia. Pavlo Klimkin: What we most certainly are not doing is continuing the policies of the Yanukovych period. We have already drafted documents about obtaining observer status in this Alliance. For us this is truly important, and we will be moving in this direction. Shimon Briman: Recently we heard protests from the Jewish community against the installation of a monument to [Symon] Petliura in Vinnytsia. Before that, we heard criticisms of the monument honoring [Ivan] Gonta and Maksym Zalizniak, who massacred the Jews of Uman. Does it not seem that the topic of history divides us? Pavlo Klimkin: Historical topics cannot disunite us. Our history is shared, our histories cannot be separated. 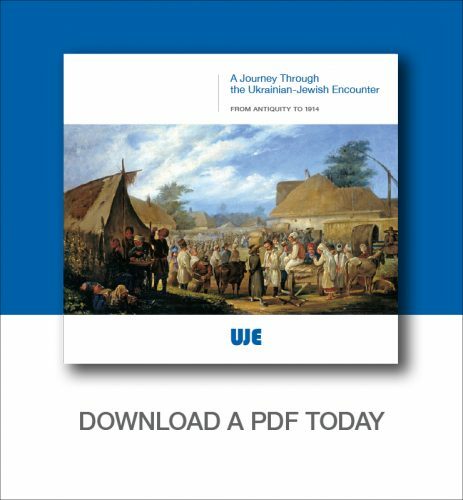 In many cities of Ukraine Jews and Ukrainians lived together, and in some places Jews formed fifty percent or more [of the population]. People did not simply coexist. They lived together, and they were succeeding in all of this. During the Soviet and post-Soviet periods real history was distorted. We did not know it and did not understand it. There are many figures in our history through whom we should comprehend the role that they played. When you paint someone only on a white horse or a black horse—that doesn’t happen either. Let’s take a look together at who played what role in our shared Ukrainian history. First, let’s grasp the sense of our history, and then we will hold a friendly conversation. And this has to be done, understanding our own political and moral responsibility, since we all need this. Shimon Briman: Was the Holodomor discussed with the Israeli politicians? 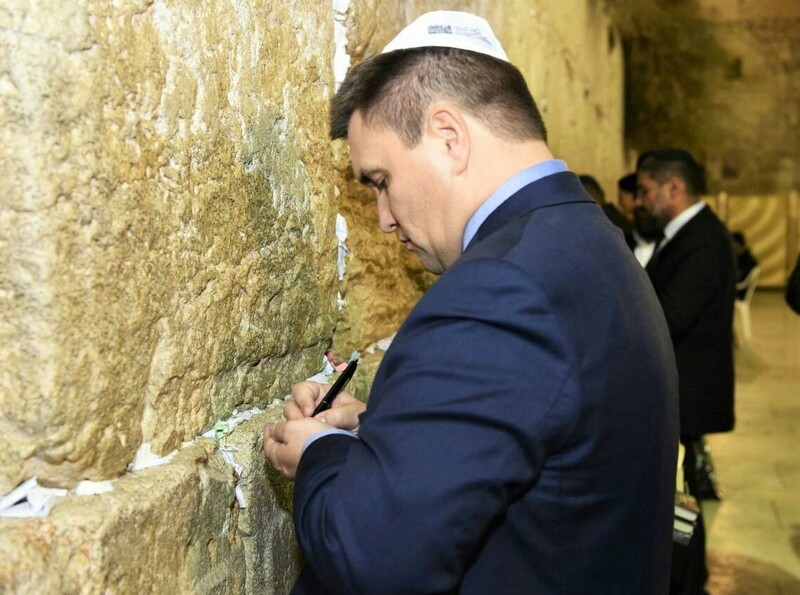 Pavlo Klimkin: Of course, and I asked our Israeli friends to look carefully at our tragedy, when millions of Ukrainians were killed by the Stalinist regime. All of Ukrainian society, which formed the foundation of our Ukrainian mentality, was destroyed. Millions of people were starved to death absolutely deliberately, so that the entire national minority would cease to exist. The Israeli politicians said we need to continue discussing this question. We did not reach a clear-cut understanding about when this will be done [recognition of the Holodomor by official Israel—Sh.B. ], but we will be moving toward this. We will also continue to explain to the Israelis the essence of this tragedy for the entire Ukrainian people. Shimon Briman: The Israeli media reported that the Israeli deputy foreign minister Tzipi Hotovely requested the Ukrainian government to move the remains of Rebbe Nachman from Uman. Was this discussed? Pavlo Klimkin: This topic wasn’t raised at all. This is the first time that I’m hearing this question, and we didn’t discuss it at a single meeting.